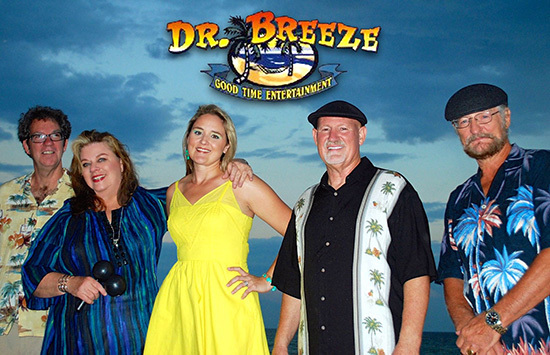 Dr Breeze prescribes the right dose of great tunes for concert-goers at Bands on the Beach from 7-9 p.m. on Tuesday, September 18 at the Gulfside Pavilion. This talented group of musicians and singers plays current hits as well as your favorite songs from the past. Featuring the talented songwriter, guitarist and vocalist Wilk McKean as well as two of the top female vocalists on the entire gulf coast in Mitzi Holt and Jennifer Del Gallo-Taylor, Dr Breeze has the prescription for good time entertainment and a night of fun and conga lines on the beach!